I read this article and found it very interesting, thought it might be something for you. The article is called Totally Dublin Survey and is located at https://www.totallydublin.ie/more/opinion/totally-dublin-survey/. This year Totally Dublin are running a survey to help to get a better grasp of our readers in a changing media landscape. With your help we can continue to innovate Totally Dublin and stay relevant. 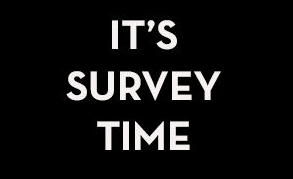 Those who take the short survey will be entered in a competition to win a Totally Dublin day in the city! Thanks in advance for your help – much appreciated!